A still from the LEGO/puppet reenactment of the subway commercial. In the mid-1990s, the sandwich chain Subway used to broadcast a low-quality commercial for their subs. Unlike their usual commercials, this particular ad used amateur actors, poor production quality, and cheap effects similar to that a local TV ad or a public access show. Based on these factors, it's believed that the commercial wasn't officially made by the main Subway corporate office for national promotions, but instead was used to promote local franchises. The lost commercial was brought to the attention of the internet in February 2019 by an artist named Julius von Brunk, who uses the moniker of Baron von Brunk on social media. 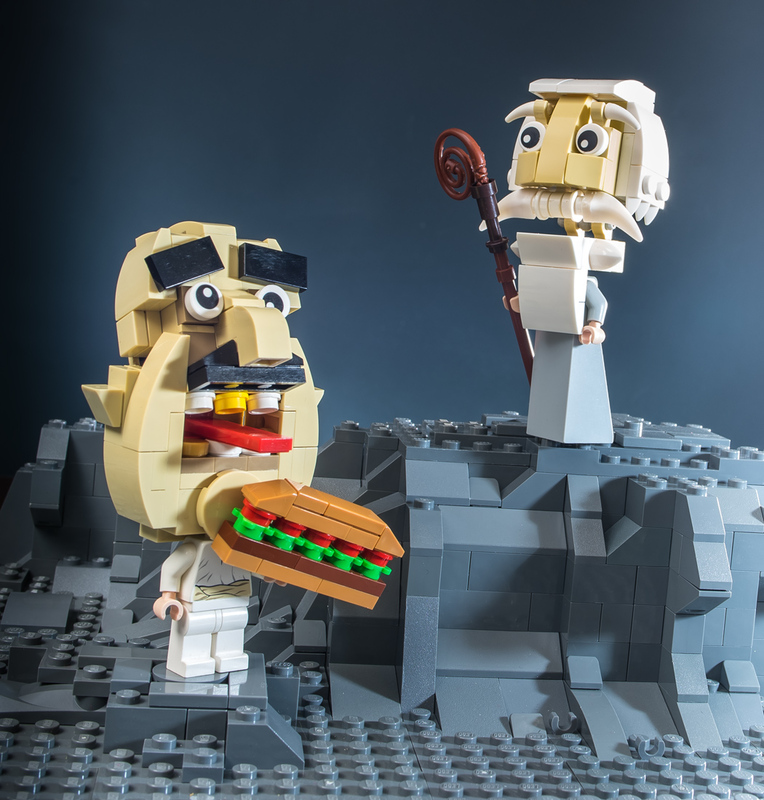 Julius made a mini-documentary to chronicle his search for this lost commercial, and in his video, he reenacts the commercial's synopsis with the use of LEGO puppets and animation. According to Julius, he recalls seeing this commercial frequently shown on TV in South Central Pennsylvania. Julius posted his video on Reddit and immediately gained the intrigue of multiple users -- some of whom recalled seeing the commercial, but for other restaurants such as Mr. Sub and Quiznos. In Julius' documentary, he mentions that he grew up in South Central Pennsylvania in the 1990s, whereas people on Reddit claimed to have watched the commercial in Kentucky, the Midwest, and Canada. With these facts presented, it's theorized that the commercial was produced by a small advertising agency for the generic use of sandwich restaurants, and that certain regional sub chains licensed its usage. In the case of Julius' memory, the commercial must have been licensed by Subway chains on the east coast, whilst simultaneously being licensed to Mr. Sub and Quiznos restaurants in Kentucky, Wisconsin, Illinois, and Ontario. Julius' videos were shared by other users in such subreddits as /r/askreddit, /r/lostmedia, /r/videos, and /r/mealtimevideos. Various Redditors chimed in to recall watching the original commercial itself, but no video of the commercial has surfaced. Julius von Brunk's Absurd Mysteries mini-documentary. The Lost Subway Commercial LEGO Reenactment Segment.